Elon Musk might be the closest we have to Steve Jobs these days when it comes to a showman capable of effectively marketing products. 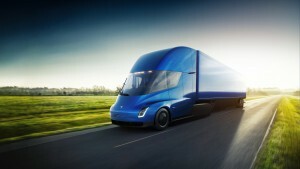 Recently, Musk paired Tesla’s new semi truck and second-generation Roadster in a whirlwind of an event featuring all the usual Tesla tricks. It was a major hit across social media, and luckily the whole thing can be seen thanks to the 9 minute supercut below. For now, the Roadster’s ability to accelerate from “zero to 60 in 1.9 seconds” will generate all the headlines, temporarily masking the issues Tesla is currently facing with its Model 3 production.